Answering Islam Compares the major claims of Islam and Christianity, evaluating the Islamic faith from a Christian viewpoint while providing apologetic answers that prepare Christians for ministry in an Islamic context. The second edition includes a new preface written in light of the September 11 attacks, as well as more resources and updated information throughout. “First, in Part One we will attempt to state, as clearly as we can, the fundamental beliefs of Islam concerning God, creation, prophets, Muhammad, the Qur’an, and salvation. This will be expressed primarily through Muslim sources such as the Qur’an, Muslim tradition (the Hadith ), and Islamic commentators. 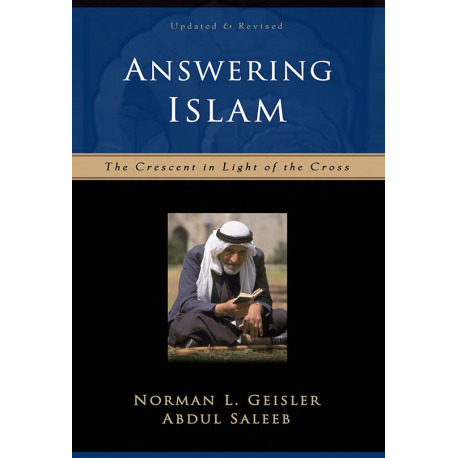 In Part Two, we will attempt to respond to basic Muslim beliefs in God, Muhammad, and the Qur’an. Here we will analyze criticisms that have been offered and attempt to come to a conclusion as to whether there is support for the validity of the Islamic claims. Particular attention will be paid to the factual basis for and internal consistency of these claims.